Get this 651/631 Vinyl available in 54 Options for just $1.99! 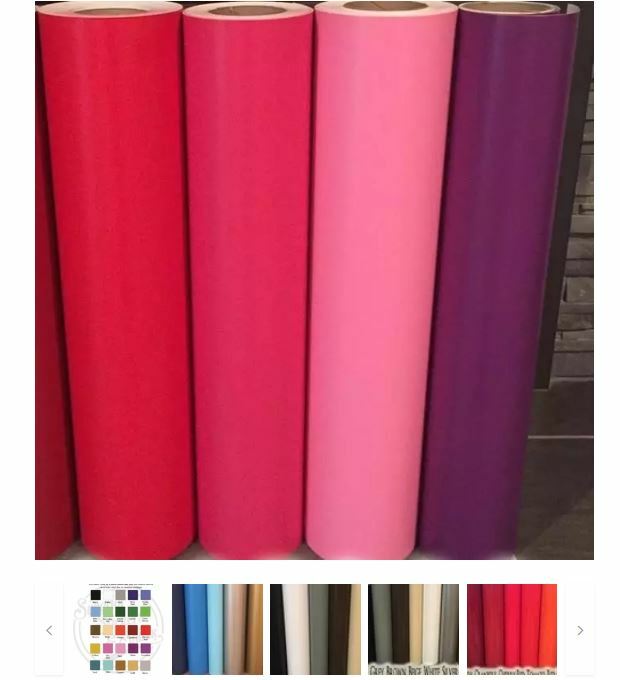 Stock up for your crafts with our Gloss and Matte 12″ x 24″ vinyl sheets. At such a low price, you can sample many of our great color choices without spending a ton of money! Great for countless applications, such as car decals, window signs, home décor, scrapbooking, signs, tumblers, and much much more! Perfect for use in Cameo, Silhoutte, Cricut, Brother, and other vinyl cutter machines. Don't have a vinyl cutter? Vinyl is easily cut with scissors or an exacto knife. This is the same vinyl that we use in our shop everyday. A great assortment of colors, all made right here in USA! Shipping is $3.99 for the first item and $0.50 for each additional item.